Home / Random Places / BC Blog! Cuckoo for Cuckoo! BC Blog! Cuckoo for Cuckoo! 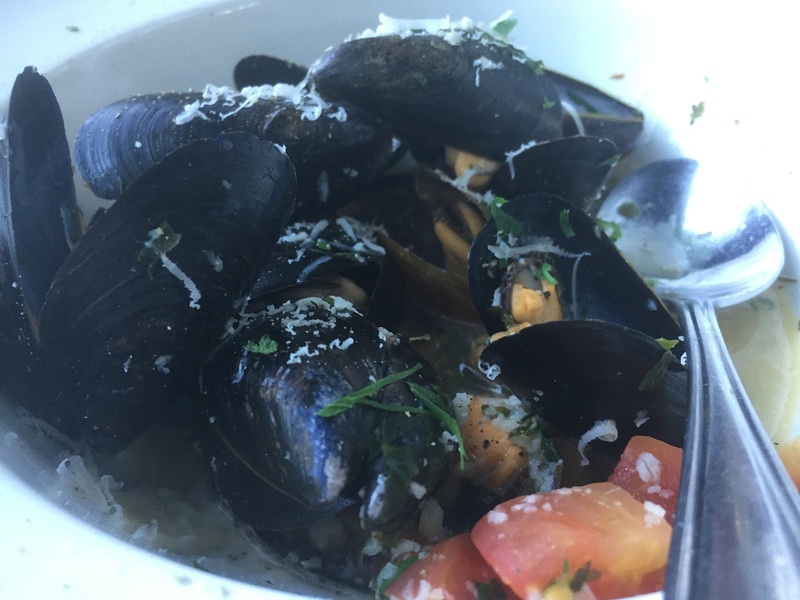 We started with some apps, Oysters in White Wine Sauce($14.99) and Bruschetta($8.99). Yum and Yum. The white wine sauce was fantastic; we were all scooping the sauce into the shell.! The focaccia was fresh and the bruschetta was tasty. A great start! Time to carb load! My dad got the Pasta Primavera in tomato sauce($16.99), my uncle chose Lasagna($17.99), my aunt selected Linguine al Granchio($21.99) and I went with Cuckoo Pizza($16.50). 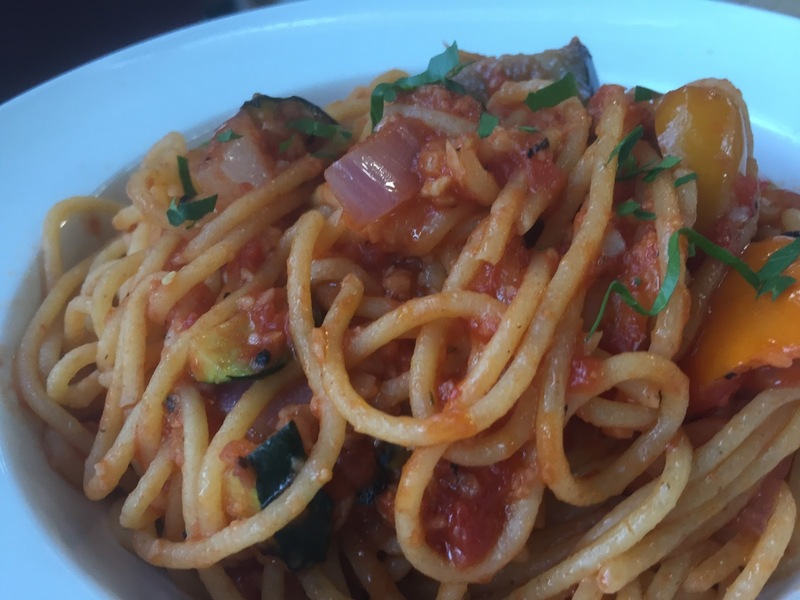 All of the pasta is homemade and the pizza dough is hand-stretched thin crust. The lasagna, overflowing with cheese, had thick layers of sauce and meat. The al Granchio is a pasta dish with crab meat in bite size pieces. 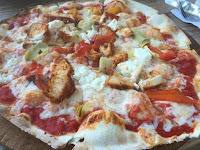 The pizza had goat cheese, chicken, roasted red peppers and artichoke hearts and I loved it. The crust was perfect and every bite burst with flavour. The portions were generous, but not over the top. It was more than enough to fill your belly and you could still clean your plate. Sadly, no room for dessert! The service was fantastic. When we arrived and requested the patio, they said a table was being cleared at the moment. While we waited, only a few minutes, 4 people asked if we had been taken care of. Great customer service! They were pleasant, but not rushed, even though the patio was packed. All of the food arrived hot and awesome. Getting great service is nice but, being served by happy employees is even better.